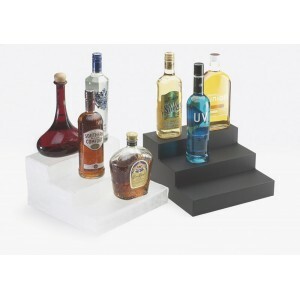 Classic Bottle Display - Cal-Mil Plastic Products Inc.
Use our bottle display in your home or commercial bar. It is big enough to show off a generous assortment of bottles, and the three tiers provide multiple levels to show off all of your liquor bottles to their best advantage. Use just one stand to display a selection or use many stands together to create a bar-length display and demonstrate the diversity of your liquor stock. Can be used as single Item or with multiple Items.